Using a qualified motor shop is essential to getting the full life out of chiller motors. 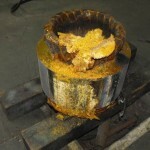 Thermetrics uses Xcel Hermetics for all of our large horsepower chiller motor repairs to prevent improper repairs like these. 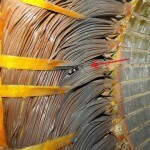 Improper varnishing of stator in housing. 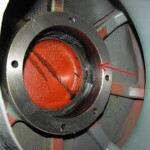 Bearing discoloration from grease not being able to move through properly and causing overheating. 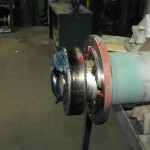 Housing damage from bearing spin.